I saw this info graph today and loved it. It truly made me laugh out loud! All credit for this info graph belongs to David Hayward, aka the "naked pastor". Check out his site at www.nakedpastor.com. I am also anxious to purchase his latest book called The Liberation of Sophia. 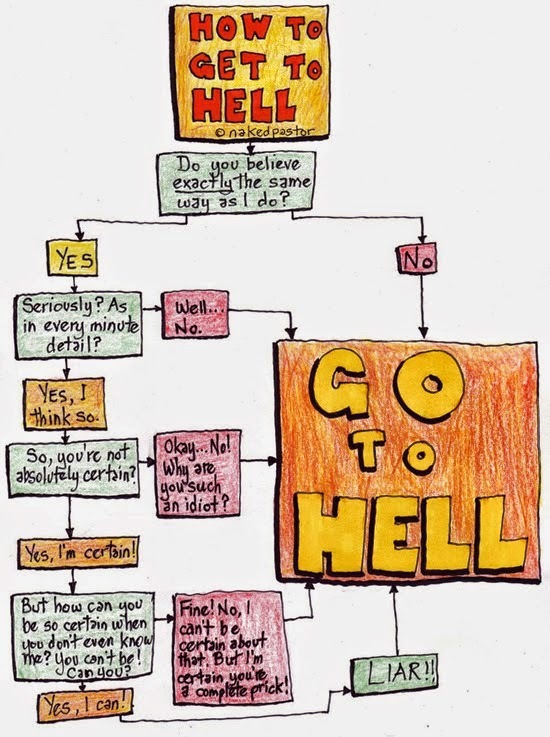 This is the reality of "going to hell".